Nuevas Propuestas - New Proposals - curated by Humberto Moro - represents an emerging generation and, at the same time, stimulates the institutional behaviour of the galleries to create work opportunities for young artists. Dal 7 al 11 febbraio a Città del Messico si terrà la XV edizione di ZonaMaco, fiera d’arte contemporanea che con 170 espositori provenienti da 27 paesi di America Europa e Asia e più di 60.000 visitatori si conferma come la più importante piattaforma messicana nell’ambito dell’arte e del design. Punto di incontro irrinunciabile per collezionisti, operatori del settore e per il pubblico in generale, ZonaMaco offre un nutrito programma di conferenze e di eventi e attività parallele, con mostre nei più importanti musei del paese. In vista dell’inaugurazione abbiamo intervistato Humberto Moro, curatore della sezione Nuevas Propuestas / New Proposals che raccoglie gallerie e spazi indipendenti che presentano lavori di artisti emergenti. Nuevas Propuestas – New Proposals. Curated by Humberto Moro (Guadalajara, 1982). This section represents an emerging generation and, at the same time, stimulates the institutional behaviour of the galleries to create work opportunities for young artists. 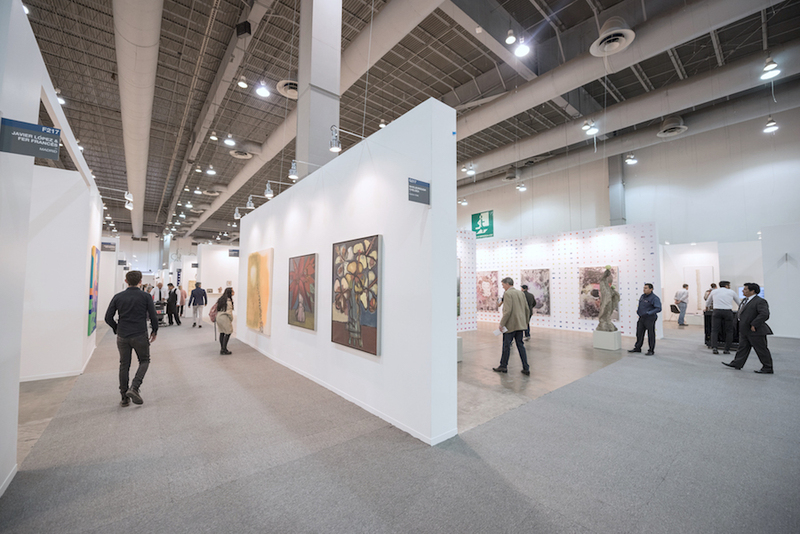 ATP: In the last years contemporary art fairs tend to increase the importance of curatorial aspects, to “differentiate the offer” and attract public. But there are many differences between curating an exhibition and a section of a fair. How did you make your selection for this year edition of Nuevas Propuestas? What kind of research and parameters did you employ? What will we find during our visit? Humberto Moro: Yes, I agree with you. The word curating is used very loosely in these environments, because the limitations, parameters and scope of work is much more limited that in many other exhibition formats or spaces. In that sense, I think that the “trend” or the impulse to include curatorial voices within the commercial sphere speaks more about an attentiveness to the content and the participants, about the effort to make more significant connections between the works and the site, and also to offer galleries an interlocutor with which they can think about the particularities of their presentation in the fair. Specifically for the New Proposals section at Zona MACO, you will be able to find a striking number of young artists working in different contexts from South Africa to San Miguel De Allende: about half of the section are Mexican galleries working not only in Mexico City but in less centralized places like Guadalajara, Monterrey, Cuernavaca, etc. We have galleries from Buenos Aires, and Cuba. We will also have galleries from several cities of the United States, as well as European art-epicenters like Paris, Berlin and London. This year, we had the most applications this section has ever had in 15 years, and we had to grow the section from the usual 22 spaces, to 27. My curatorial premise has been to grant young or emerging artists a safe space within the fair. Some times in other fairs, these smaller booths are used as “less expensive spaces” and galleries often bring artists who are more or less established. Thinking about that, there was an age restriction, to guarantee that an emerging generation of artists is represented, in 2018 we will have more than fifty artists born after 1980, and to safeguard this space is critical for me. In terms of research, I’ve had an ongoing relationship with many of the galleries in New Proposals, therefore, the depth and range of our dialogue is deeper and therefore we have been able to make more informed decisions. Also there is SAMPLE, an initiative that debuted last year, and that will be coming back for this edition, which offers yet another space for the galleries to exhibit more of their program, in curated show. 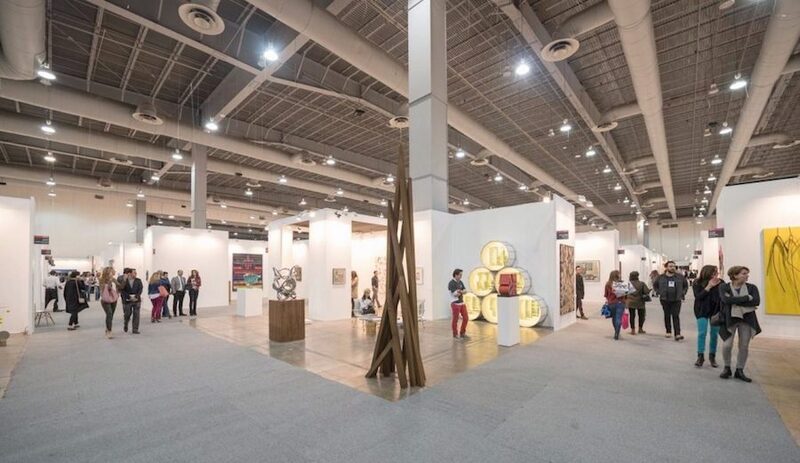 This space has no extra costs for galleries, which in my opinion is an incredible gesture in the middle of one of the largest art fairs in the continent. This is my last year curating the section (it is a 3-year appointment) and as I stand in a ground that has been prepared by other curators like Pablo Leon de la Barra, it is equally very important for me to leave a machinery running that can hopefully transcend my tenure in the fair. ATP: It seems important to me that a fair offers space for young artists who normally have difficulty taking their first steps in the market. What are the characteristics of collecting in Mexico with this regards? Is there attention and interest in new proposals? What is the attitude of the galleries? What kind of relationships and dynamics do exist, if so, with independent and non-profit spaces? HM: I think the market has subverted the flow of many things. At least for my generation, we were still doing shows in coffee shops and bars, and now it is increasingly common to find out that a young artists’ first gig was an auction. With Mexico, and I think in many places in general, there was the generation of the mega-galleries/artists/collectors, which emerged in the late 90s and early 00s. Collecting has had different peaks internationally speaking, and as we know is increasingly hard for mid-range galleries to survive. Mexico is no exception. However, I see a generation of young people that is increasingly becoming aware of collecting as a patronage to the arts, opposed to corporative accumulation. There are communal studio houses, even galleries, that are being funded by groups of young collectors. And one good example is Guadalajara 90210, a sort of experimental space/gallery that was founded by artist Marco Rountree and a group of curators, and collectors. This space has fostered experimentation and conversations in Guadalajara, in a way that only was possible before in bigger cities. We are witnessing the birth of many of these initiatives which can’t be explained without the resurgence of an emerging generation of entrepreneurs funding a new generation of projects. ATP: In the last, let’s say, 15-20 years Mexican art scan has been very dynamic, many artists and galleries have deserved a lot of international visibility, Zona Maco too is growing, did this help to build a system and to give solidity to the local art scene? If yes how? HM: Zona MACO has definitely solidified the Mexican art scene in the past decade. I think that the fair brought international attention to the city along with the work of galleries, museums, and artists. One medullar aspect of this assumption –sometimes overseen- is the fact that ZM makes a great effort to bring curators and collectors from all parts of the world on their budget, and this obviously benefits not only the fair, these people go around the city and see exhibitions and meet with artists. The point of contact it creates has played a key role in the exponential growth of individuals and institutions within the country.  I’ve always said that ZM has “long tail,” thinking about the steadiness of the relationships, which are created in and because of the fair. Galleries can tell you the sort of super strong bonds they create with their local collector over the years. Also, there are hundreds of events around the fair, museum and gallery shows, open studios, some cities even make pre or post programs and take people there, ans so on and so forth. This kind of fertility is not exclusive to the fair, but it has been strongly propelled by it, and I think this is a common understanding within the local community. What is relevant and interesting now, is to look at the future, and as you say, think about the particular conditions of the site and all the people involved, and foresee different and equally auspicious models that adapt and grow with new challenges in art and institutions. 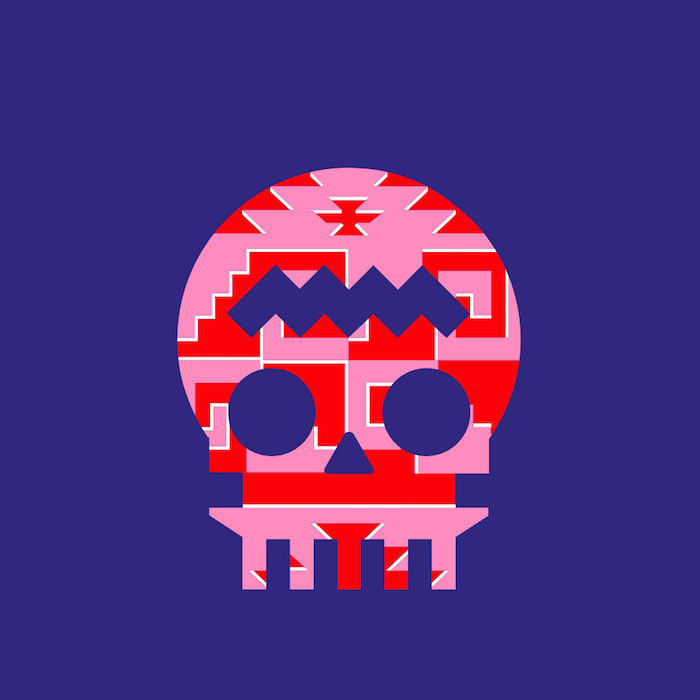 ATP: I have the impression that for many Mexican artists the theme of identity, of “mexicanity”, is fundamental, but this is probably one of the main aspects of Mexican culture in general (I’m simply thinking of Octavio Paz). Is this still true for the younger generations? Considering that you live in the USA, do you have the impression that there is a different attitude among the younger generations in Mexico and in other countries? Or there is a process of globalization of culture? HM: This is such a big question. And one that I ask myself constantly. This notion of the Mexican identity within the contemporary art microcosm is both a treasure and a trap. The vast and profound legacy of Mexican Colonial and Prehispanic history is such a deep part of us, and has been a central issue in contemporary art practices. There was a generation Like Alys and Orozco which analyzed this notion of identity in relationship to this massive problems of urban development. And one later that learned to problematize that mode of operation more towards a globalized understanding of that historical baggage, like Mario Garcia Torres or Cynthia Gutierrez. There is definitely a new generation that has assimilated this experience and is now thinking about this Mexicanity through other issues more related to labor, queer spaces, crafts, and in general a less patriarchal fluidity that is definitely new. Maybe that is a reaction to the global increasing interest in formalism, but I think there is some sort of new visual language, which is in constant dialogue with this recent past, but at the same time achieves to escape it. Tania Pérez Córdova, Javier Barrios, Rodrigo Hernandez, Ektor Garcîa to name a few. In terms of me living outside of Mexico, this question has different answers, more related to curatorial activism and the formation of exhibitions, but that is a whole different conversation. 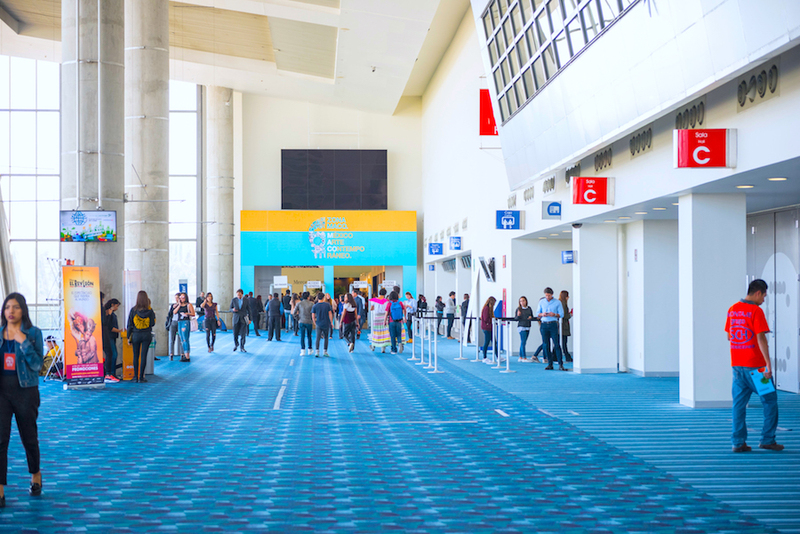 ATP: Zona Maco is an important fair for whole Latin America, do you think it’s possible to identify common trends in the artistic scene at continental level or the differences between the various countries prevail? HM: I don’t believe in the homogenization of Latin America. I don’t think that there is a whole Latin America, or that it operates geographically. For example, there are cities in the U.S. like Los Angeles, Miami or Chicago, which behave more like Latin America in many ways. The institutional life, collecting practices, the non-profit world are so different in each country that is even hard to think they exist in the same continent. Colombia, Argentina, Brasil have strong fairs and each one behaves differently. There are young scenes like Peru, or even Puerto Rico that have also very interesting differentiations with other centers. Now, if you want to think visually about encountering works that have similarities, you will, but it is not exclusive to the notion of Latin America, but more about a broader western paradigm which is equally common in Buenos Aires, Brooklyn or London. With 26 projects, this section represents an emerging generation and, at the same time, stimulates the institutional behaviour of the galleries to create work opportunities for young artists. 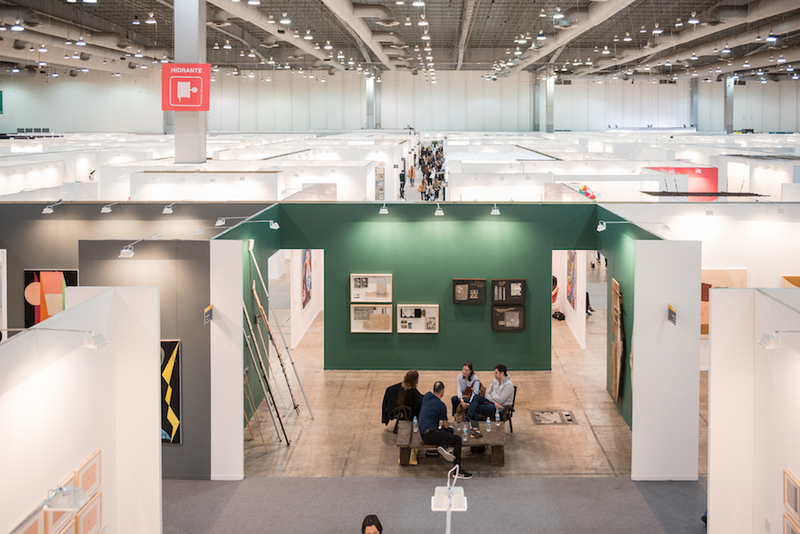 As a complement to New Proposals, the fair presents for the second consecutive year the exhibition space titled SAMPLE, which exhibits projects by non-established artists, in collaboration with the galleries and alternative spaces participating in this section.